The Avalon Independent School District's School Board is committed to making our district second to none. Enhancing opportunities for the school and classrooms is always at the top of priority list. As policy makers, we shall be responsible for providing a sound, basic, quality education for all students by promoting a creative academic performance for the imporvement of student learning in a safe and orderly enviornment. The Board, as community leaders, shall provide open dialogue with mutual respect, working with the Superintendent and local government, securing sufficient resources and serving as advocates for the district. We invite you to attend our meetings and we welcome your support and input. 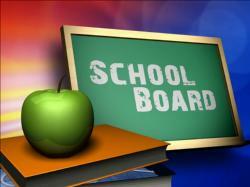 Texas law grants the board of trustees the power to govern and oversee the management of the district's schools. The board is the policy-making body within the district and has overall responsibility for the curriculum, school taxes, annual budget, employment of the superintendent and other professional staff and facilities. The board has complete and final control over school matters within limits established by state and federal law and regulations.